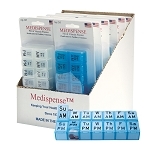 Small compact shelf display holds 5 Medispense AP-107 shrink wrapped AM/PM weekly medication pill organizers. 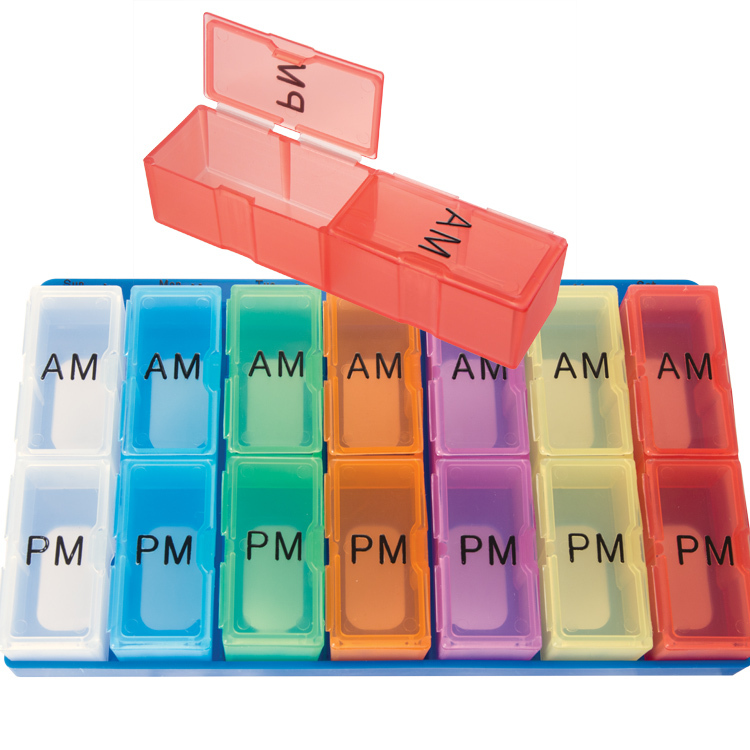 Seven color coded AM/PM inserts rest in a single tray. 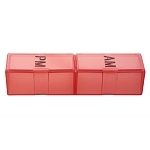 The AP-107 is our extra large pill holder. 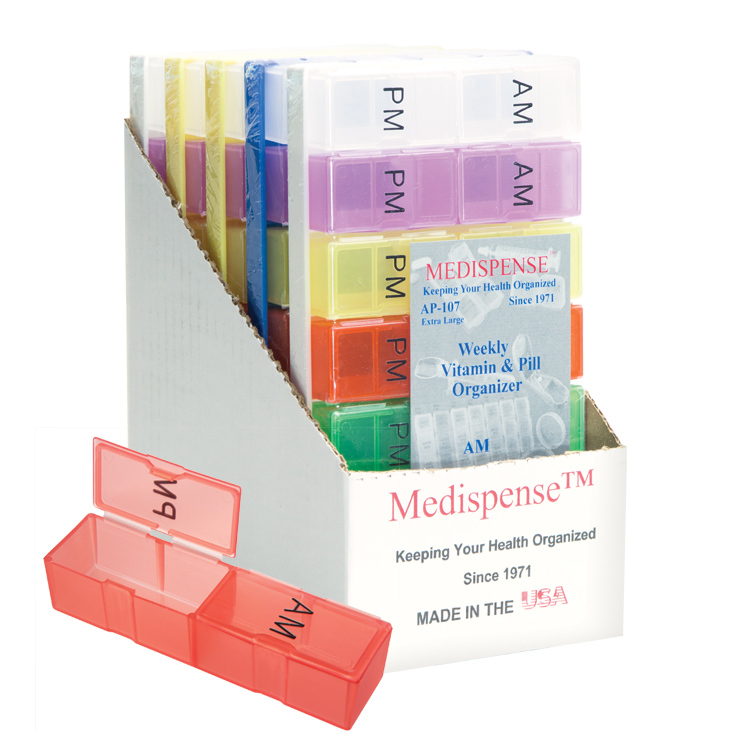 Easy open compartments help you keep your weekly morning and evening vitamins or medications organized. 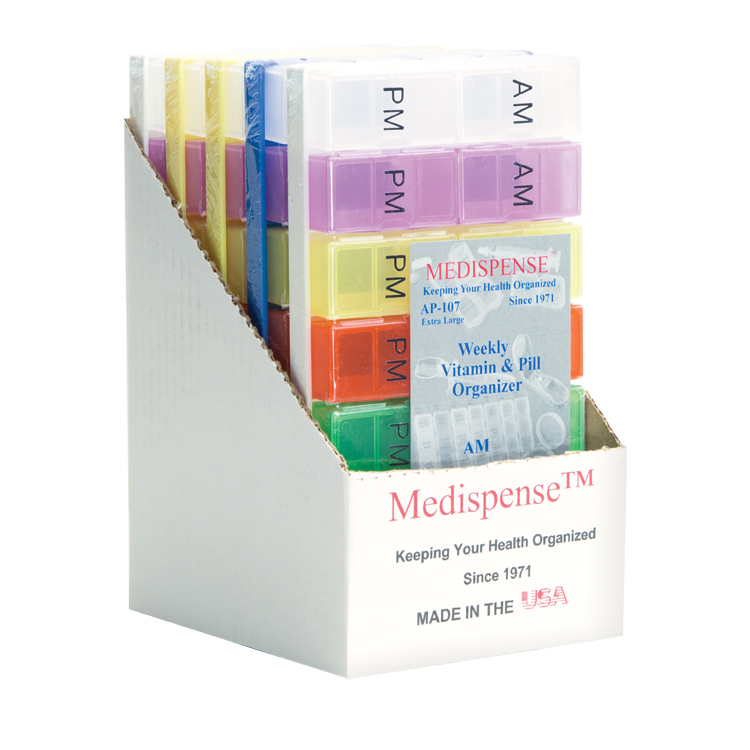 • This color-coded pill planner has seven removable, translucent, colored inserts for each day of the week. • Each insert has 2 compartments labeled A.M. and P.M. in large, raised, hot stamped letters. 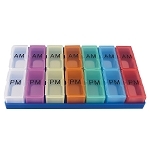 • The TRAY for this pill planner only comes in bilingual and features Braille to assist the visually impaired. • Custom printing is available upon request; please contact us with your request. • Latex, Lead and BPA Free.